The mini-roll of RV EMT tape is 4 feet in length and only 2 inches wide, making it perfect to bring with you nearly anywhere, as it doesn't take up much space. This tape is extra thick, at around 65 mils, so you can be sure you are getting enough protection. The high flexibility allows it to wrap around objects or obstructions on the surface. It works under a wide range of temperatures and features a backing that is UV stable, so heat or cold does not have to be a major concern. 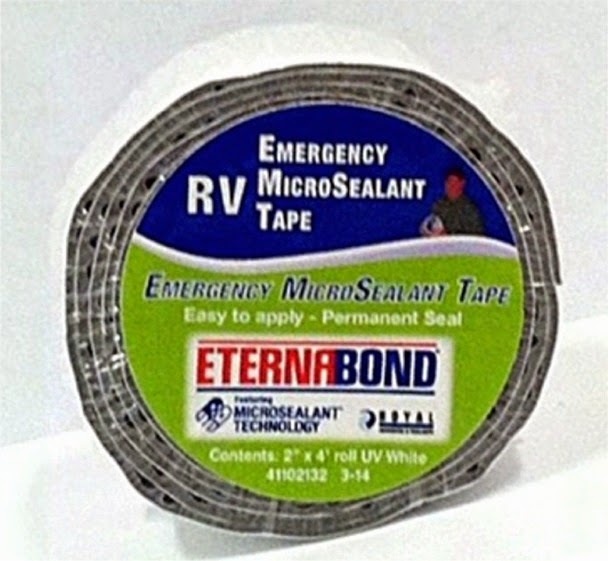 Like other EternaBond tape, it uses MicroSealant technology to create and maintain a firm hold on many types of surface material. It also features the same ease of use, the only requirement beyond application being the possible cleaning or treatment of the surface. This tape can be used in a number of other areas besides rooftops, such as boat covers, shower stalls or holding tanks on vacuums. This tape is made to last, coming with a 25 year limited warranty.